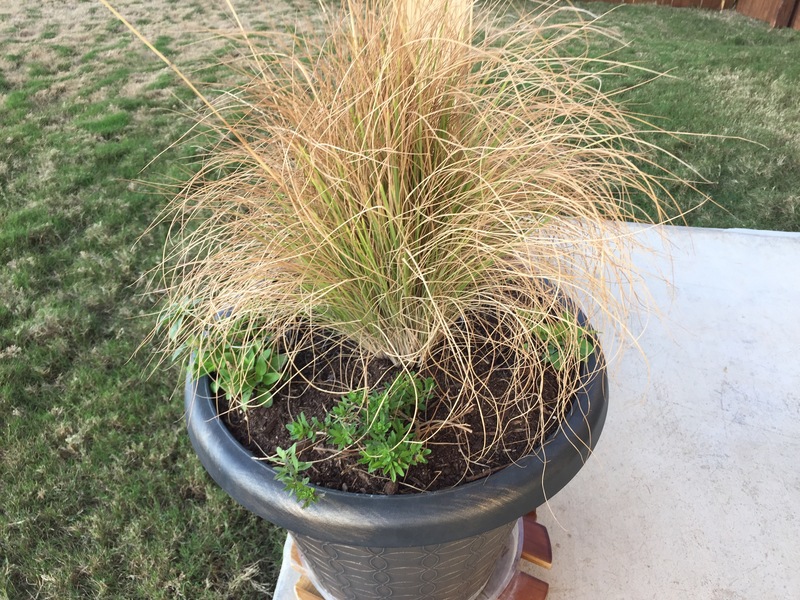 One of the new plants I tried this year was Pink Champagne Ruby Grass. 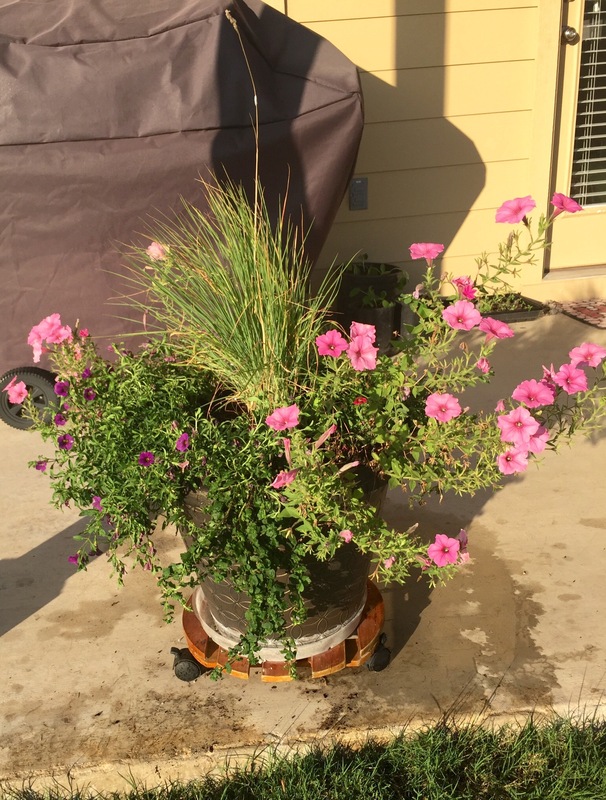 I bought two 1-quart containers fairly early in the spring and planted one each in the center of the two big planters on my back porch. The grass was really easy to take care of, and stayed green into November. 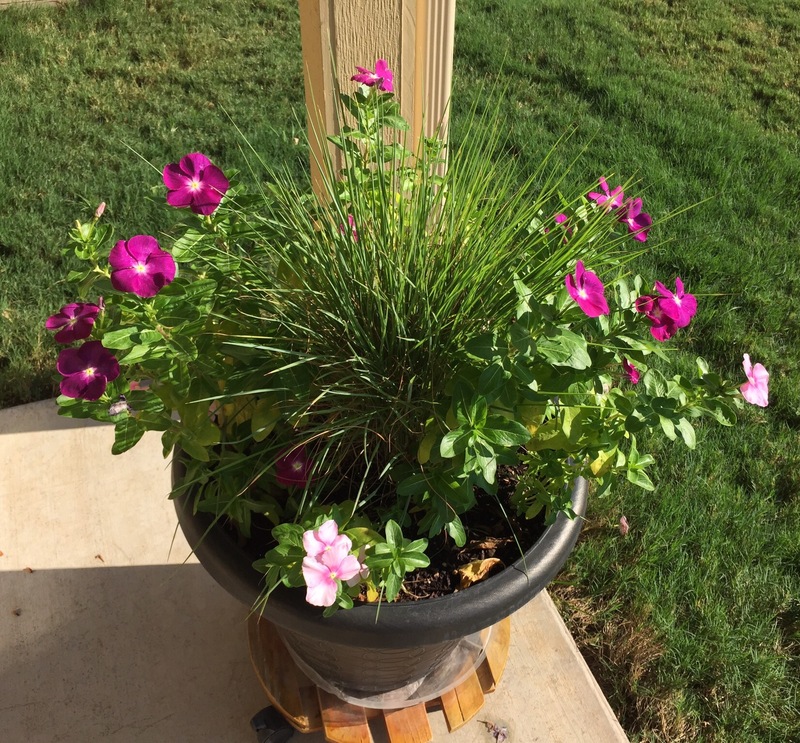 The grass outlasted an early ring of petunias as well as the heat-tolerant vincas and Trixis that replaced the petunias in July. In fact, I think I might cut down the grass to just a few inches tall and put the planters aside. The plant card with the grass says it’s only a perennial in zones 9 and 10, that it won’t survive temperatures below 20 degrees. But it never got quite that cold last winter here (zone 8), so I think it might be okay. I guess I have nothing to lose by leaving the grass in the planter. If it dies out over winter, I’ll just have to dig it out. But if it survives, my planters will be ahead of the game come spring.